Woo Hoo! 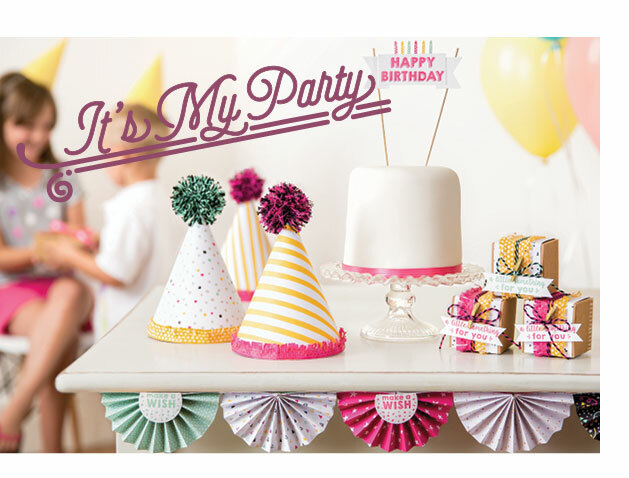 The Occasions Catalog & Sale-a-Bration Brochure are Live! Today is an SUPER-EXCITING day! I’ve been sharing lots of exciting, new products from Stampin’ Up!’s 2016 Occasions Catalog and 2016 Sale-a-Bration Brochure over the past month – TODAY is the first day that customers can start purchasing these amazing products and earning the Sale-a-Bration beneifts. What fun! Let’s start by taking a quick look at these amazing catalogs. If you are my customer, then you’ve already received your copy of this book. If you don’t have a Stampin’ Up! demonstrator and would like to be my customer, I’m happy to mail you one, too. Please contact me at [email protected]. It’s my Party Suite. What a great suite for celebrating fun, festive and colorful birthdays! The suite is mostly comprised of Melon Mambo, Crushed Curry and Mint Macaron – a sweet (yet vibrant) pairing of colors for any party. Birthday Bouquet Suite. While still fun and festive, this suite of (mostly) birthday-themed has a more mature feel to it. Lots of beautiful flowers and numbers to celebrate life’s moments. Mossy Meadow, Blushing Bride and Mint Macaron play a huge part in the beauty of this collection. Love Blossoms Suite. 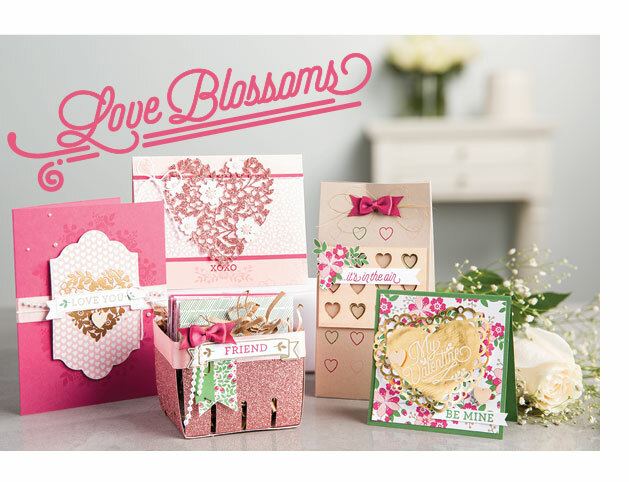 Valentine’s Day arrives this year with beautiful papers, dies and stamp sets. Say, “hello” to Rose Red, Blushing Bride and Crumb Cake (with a dash of Garden Green) – there’s no better way to say “I love you” than with this sweet and soft suite. Botanical Gardens Suite. With super-fun dies, a wonderful stamp set and gorgeous papers, this collection surprises with a great Spring suite comprised of Cajun Craze, Hello Honey and Mossy Meadow. 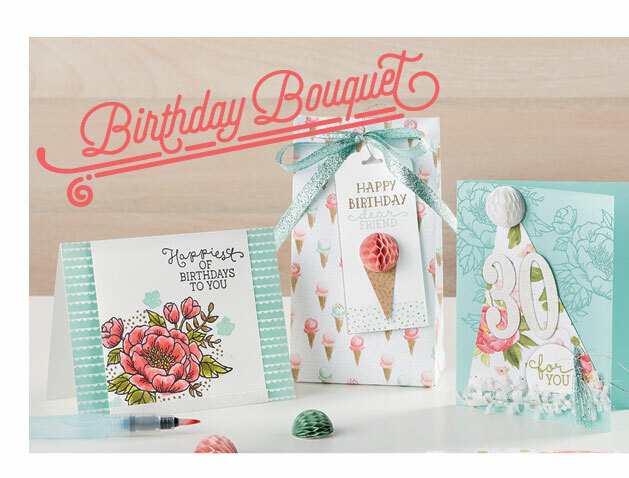 The 3-part bundle (stamp set, dies and Designer Series Paper) is a must-have from this catalog. Shine On Suite. If you like 3-D projects (and who doesn’t? ), then you are going to love the Shine On Suite. 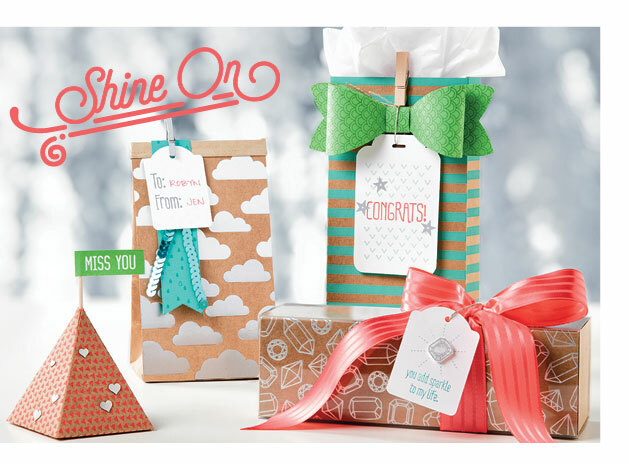 With thick kraft paper in fun, colorful designs (and accented with silver foil designs), this paper is super-versatile. Bermuda Bay, Strawberry Slush and Cucumber Crush make fun patterns on this paper. Have a Cuppa Suite. 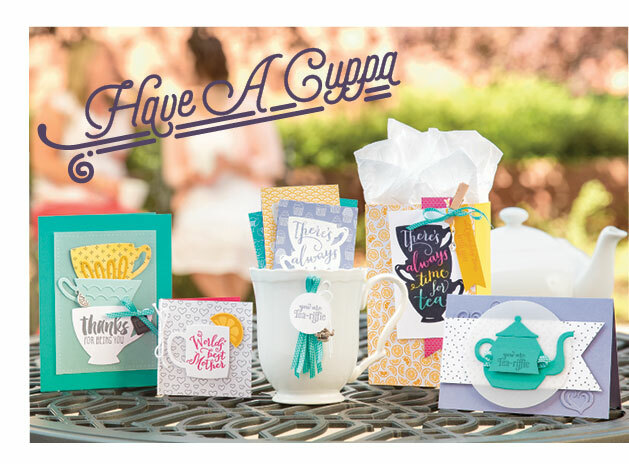 The Have a Cuppa Designer Series Paper Stack is packed with adorable tea-themed patterns that can be used in any papercrafting project. Wisteria Wonder, Bermuda Bay and Melon Mambo accent this suite really well. With must-have dies and a super-fun stamp set, you’ll want to have a cuppa when you are reviewing your catalog. Going Places Suite. Lost Lagoon, Basic Gray and Delightful Dijon give the Going Places Designer Series Paper Stack a very masculine appeal, but you can dress them up with other colors to make them as feminine as you want. 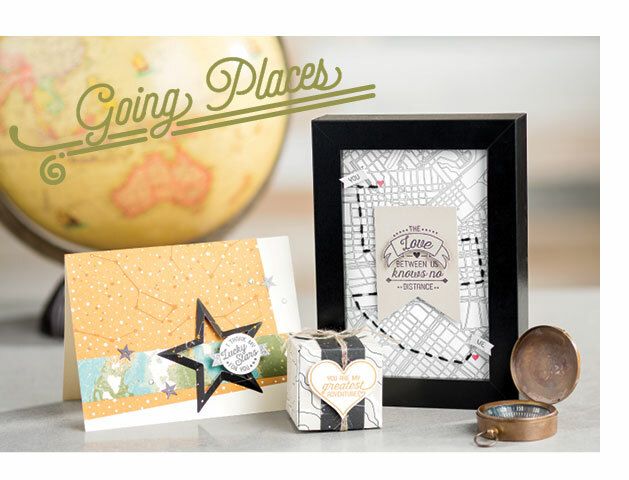 I love the maps, globes and travel- and world-themed sentiments in this suite. To review all of the amazing products in any of these suites in my online store, CLICK HERE. What is Sale-a-Bration? 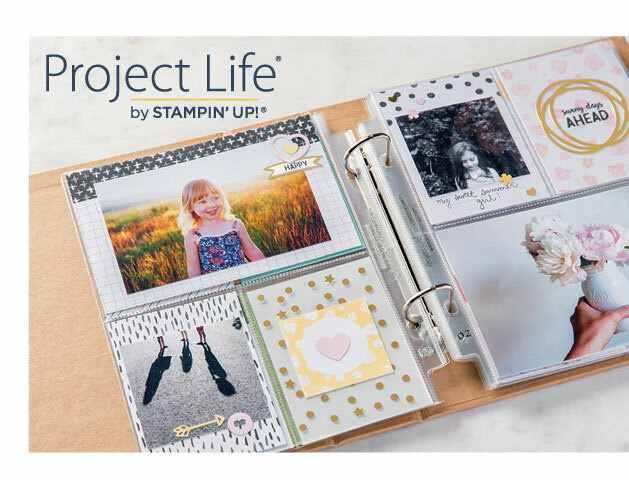 Not only is Sale-a-Bration a great time to earn free products with every $50 purchase, but it’s a wonderful time to order big or buy the Stampin’ Up! Starter Kit. 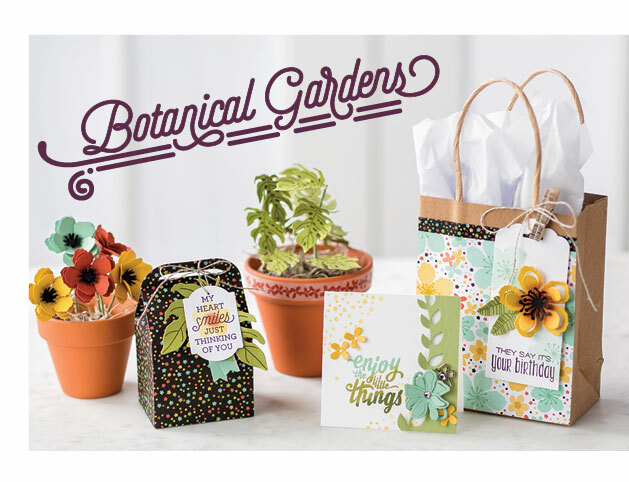 During Sale-a-Bration, you earn an additional $25 of Stampin’ Rewards with every order greater than $250 – and you earn an additional $30 of product in your Starter Kit (that’s a total of $155 of YOUR CHOICE of product for $99 with free shipping). Do you want to learn more about the huge benefits of the upcoming Sale-a-Bration sales event? I’ve created a blog page to explain it all – click here to learn more. If you have questions or want more information about how to sign up for Paper Pumpkin, please reach out to me at [email protected]. Placing an Order? If you are placing an order that exceeds $150, I want you to use your Stampin’ Rewards for something fun and exciting – I know there’s something else you’ve love to have. If your order is less than that, I’d love for you to use this Hostess Code when you place your order: PXMQXC2A. For more information about using the Hostess Code, please click here (active Hostess Codes can always be found on my blog at CURRENT PROMOTIONS>CURRENT HOSTESS CODES.